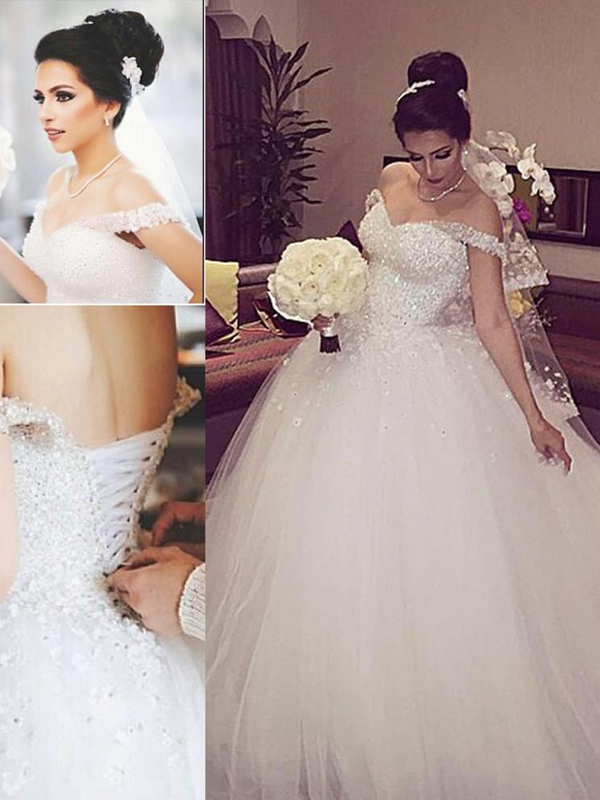 Cheap White Tulle Off-the-Shoulder Ball Gown Court Train Wedding Dresses in Plus Size Wedding Dresses - Wedding Dresses - Wedding Guest Dresses at Bonnyin.co.za online South Africa with high quality and affordable price. I have received this dress yesterday. It attracted me a lot. I have never ordered such a beautiful dress. Especially, the lace fabric makes the dress more unique and amazing. I will be the princess in my wedding.